If you are ready to protect your property from flood damages, Five Brothers Insurance will work with you to determine your coverage needs and provide you with an accurate flood insurance quote. We will thoroughly review your property, evaluate the value of your possessions and provide you with current flood insurance rates for several policy options to meet your coverage requirements and budget. Flood insurance rates may vary greatly depending on what level of coverage you are seeking. 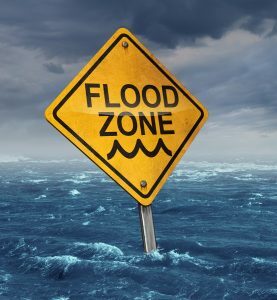 Your rates may differ depending on where your property is located, causing those who live in flood prone areas to possibly pay higher rates than those who are on land that is higher elevated and more dry. In addition, the value of your home or commercial property and the possessions inside can determine the level of coverage you need and affect the monetary amount listed on your flood insurance quote. Because you want to ensure that your investments will be returned to their current state and hold their value, you want to be sure that your policy provides the sufficient funds to restore your property and replace any possessions that are no longer functional. Five Brothers Insurance has been providing insurance policies to home and business owners throughout Tampa, St. Petersburg, Clearwater, Sarasota, Bradenton and throughout the state of Florida for over 28 years. We are the insurance experts and will work closely with you to determine your unique needs, providing you with the most comprehensive policy possible. We offer a broad range of services, including homeowners insurance, renters insurance, auto insurance, windstorm insurance and more, so you never have to leave our office to find the policy you need. To request a flood insurance quote, learn more about current flood insurance rates or discuss any of your other insurance policy needs, contact us today. We look forward to providing you with the unparalleled service and support we have become known for.